Here is why you must include turmeric in your skin care routine! 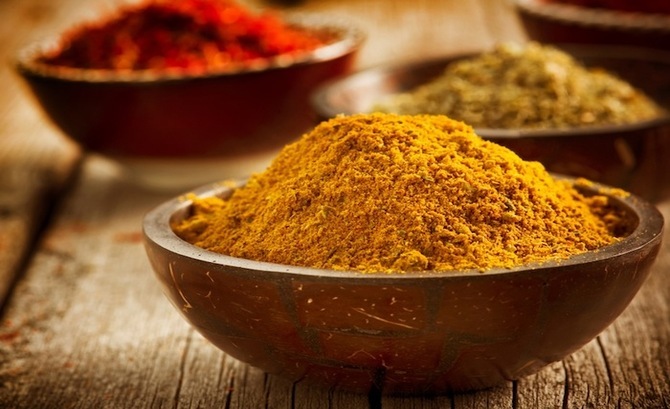 Turmeric has been a part of the India repertoire for centuries now. 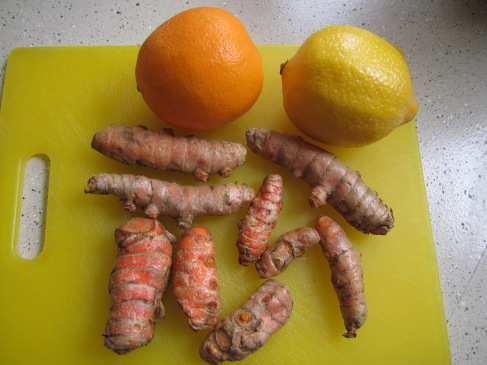 Be it turmeric’s antibacterial properties along with anti- inflammatory and antiseptic benefits; the fact that it is a natural antioxidant that boosts immunity or for its inexpensive and natural way of treating several skin problems– turmeric has always been a staple in most house across the country. The popularity of turmeric is now spreading to the West too. Many products are advocating the use of turmeric to improve the skin and overall health too! We hear Starbucks too has jumped on to the Tumerica bandwagon and serves a Turmeric Latte now! Our desi haldi has come a long way indeed. 1. To reduce skin pigmentation and skin tanning: To remove skin tanning and pigmentation, apply a mixture of turmeric powder and lemon or cucumber juice on the affected area for 20-30 minute. Wash this off with plain water. This should be done regularly for 4 weeks and you will see the benefits gradually. 2. As a night cream: You can apply a paste made from turmeric and milk or yogurt on your face. Leave the mask overnight and rinse it off the next morning using lukewarm water. Alternatively, you can add a pinch of turmeric to your moisturizer and clean with a tissue. Your skill is going to look fuller and healthier within no time! 3. To remove dead cells: Make a paste by mixing gram flour or besan and haldi with water and apply it on your body. Scrub gently while taking a bath. Doing this regularly can rid you of dead cells to give you glowing and spotless skin. 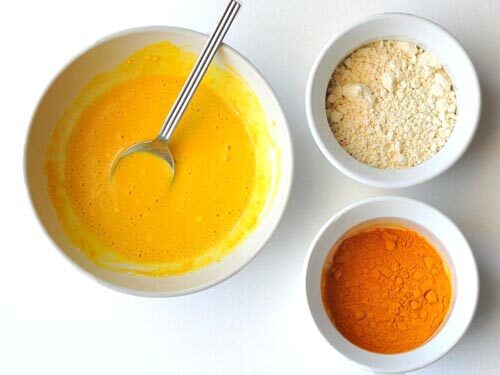 Applying a mixture of turmeric and milk on your face and lips can cleanse your face as well as act as a healing agent for your lips to treat dry and chapped lips too! 4. Soothes burns: Turmeric can provide quick and instant relief in case of burns and cuts, thanks to its antiseptic properties. 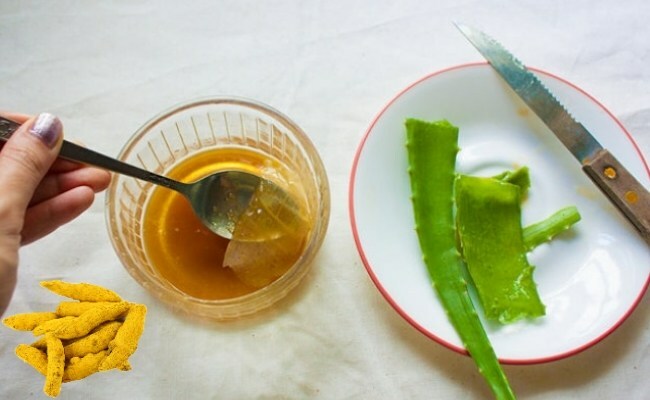 With an application of a mixture of turmeric and aloe vera gel on the burn the wound is healed in no time. 5. 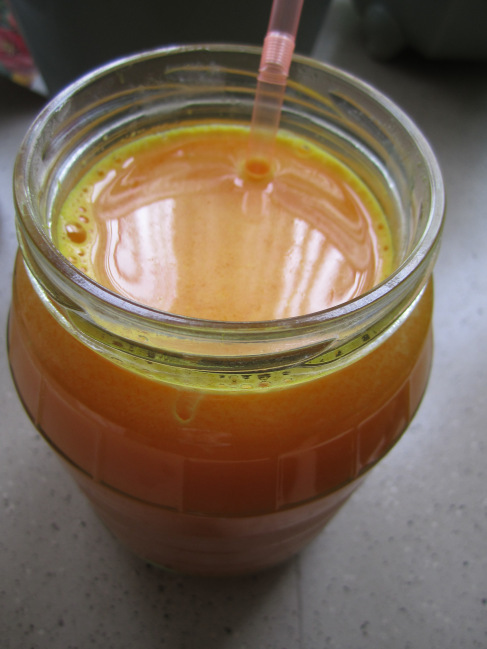 Repelling acne: Turmeric helps to keep acne away and also helps to heal it. There are simple ways of using turmeric to cure pimples, one is by using turmeric powder mixed with sandalwood paste helps to heal acne and applying raw turmeric mixed with few drops of rosewater helps lighten the spots too. 6. Prevents aging: Being an excellent exfoliating agent, turmeric can help eliminate the signs of aging. The easiest method is by adding raw milk and tomato juice to rice powder and turmeric powder. Apply the paste and let it stay until it dries. Lactic acid present in milk will help peel off the dead skin cells.